Rigorous concrete testing is needed to keep up the quality of concrete. 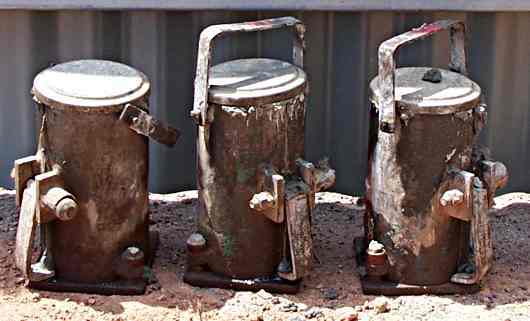 Any batching plant that has quality control has some sort of system for testing samples of cured concrete. Why test at all, it's a quality product. We never hear of building collapses in countries where standards are applied and enforced. One way of making sure that the standards are being adhered to in regard to concrete production is by testing finished samples of concrete. So why do we test and how is it done? 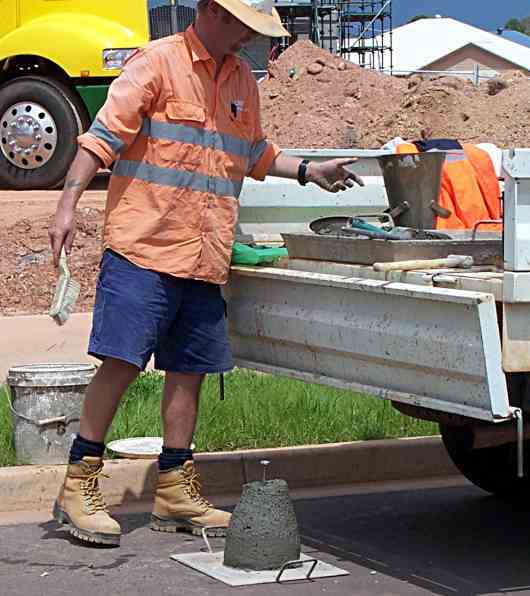 Concrete testing - A technician has just finished a slump test. The main reason of course is to make sure that the concrete comes up to specifications. The structural engineer designs the building using a certain strength of concrete, and we have to make sure that we are using what is specified. It is not sufficient for a batching plant to test a few samples, prove that they are getting good results and leave it at that. We need to do ongoing tests because materials can change and effect the finished strength. I know of one case where a whole shipload of cement was faulty in some respect, and that could have had catastrophic consequences if it was used in construction. So the batching plant are always testing their own product. In addition the customer or clients conduct their own testing. What happens is that samples are taken, at the site from the delivery truck by a qualified technician. He first does a slump test on the concrete and if that is OK the concrete pour continues. The sample of concrete is then packed into steel cylinders in a very precise way. They are left undisturbed on site until the next day when they are taken back to the laboratory and placed in a tank of water to cure for the specified period. When the correct amount of time has passed the sample are removed from the steel moulds and tested to destruction on a hydraulic press type machine that records the exact force that was used to cause the sample to fail. Depending on the class of work, these tests are done on a random basis, or on every concrete pour. Sometimes even on every truckload. Concrete testing - Cylinders of fresh concrete left in and out of the way place on the site for their initial set. They will be taken to the lab the next day. If you see cylinders like this do not disturb them! One major thing that can affect the quality of the finished concrete is the addition of too much water. On any job where concrete is delivered by a transit mixer from a well set up batching plant the driver when he has delivered the concrete will get a responsible person to sign that he has received the concrete. On the form there will be a provision for marking how much if any, extra water was added to the mix. You may not even know about this, but if you get the driver too add more water to the mix in order to make it sloppy and easy to spread, then the driver will make a note of the amount on the docket. A month later when you are winging that your concrete has cracked, a company rep will inform you that you caused it yourself by adding too much water. It will all be in the fine print on the docket that you signed. You won't get any joy out of the company. Concrete testing - Sketch showing the method of testing the amount of water in a given mix, called the slump test. The photos on this page were taken on a private job, and the tester was doing a random site test, initiated by the concrete supplier for their own quality control. 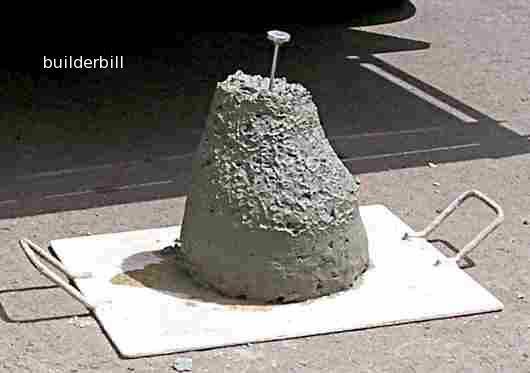 Concrete testing - This sample has just had the cone removed, and it has been measured at 90mm slump. The specification for this 20mm pump mix for a concrete house slab was 80mm, plus or minus 15mm, so it was OK. Note, the thing sticking out of the wet concrete is a dial thermometer. Above is one method of how the concrete company tests the quality of their concrete. That is by measuring the slump. The amount that the wet concrete sags. I am not saying that homeowners should go to the trouble of doing a correct slump test, but just look at the concrete, get a hand full of it, it should stay together roughly in a mass in your hand, feel a bit sticky and not boney. if it runs out of your hand it is too wet. Go To Top : Concrete testing.